"One woman who inspired two films"
Within a few weeks of one another, two films are being released to the world based on the life of Florence Foster Jenkins. The French and British productions of the heiress who dreamt of becoming an opera singer, despite having a terrible singing voice. 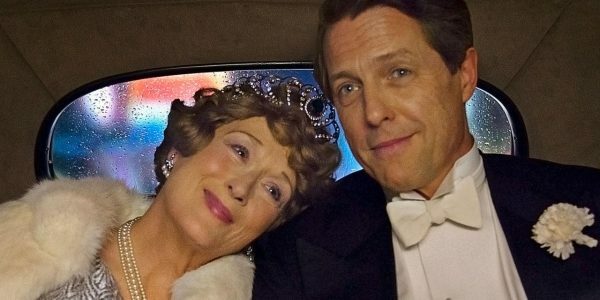 Florence Foster Jenkins’ story provides a multitude of dramatic considerations which explains why it is the subject of two film releases in one year. She was a New York heiress who was a supporter of the musical community throughout the 30’s and 40’s. Her financial contribution was essential for the advancement of the arts in a difficult financial time in history. Her love of music began in her childhood when she had been a successful pianist and even had an audience with the President of the United States, but could no longer play due to an accident. Her love of music did not diminish, but she was relegated to experience it from the auditorium seats. With the support of her husband, St Clair Bayfield (Hugh Grant), she took lessons to sing opera and occasionally preformed before her friends and family. This loving community allowed her to believe in the dream of one day performing before a live audience, despite having a horrendous singing voice. Then due to a whim, she takes the time to record herself and through this event an opportunity presents itself for her to sing at Carnegie Hall. 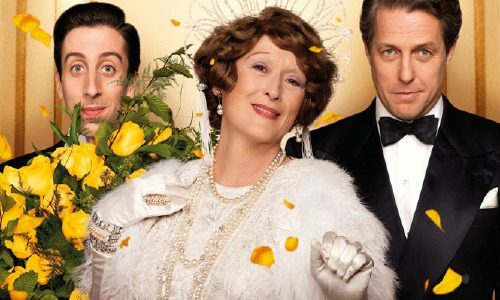 Director Stephen Frears’ (The Queen) interpretation of Florence Foster Jenkins places this tragic but endearing heiress in the actual time that Florence (Meryl Streep) lived during the 1940's in New York City. He develops the unique relationship between the music aficionado and her doting husband and shows their life of delusion which seems to be satisfying to them both for a time. This biographical sketch shows that regardless of the positive intentions behind their actions and the agreements that led to their lifestyle, these distortions of the truth begin to cause the fabric of their lives to unravel with Florence’s desire to sing in public. This seasoned director keeps his version relegated to a small ensemble of Streep, Grant and The Big Bang Theory's Simon Helberg, who portrays the ill-fated accompanist for Florence. The direction manages to honor Florence and the history that leads to her infamous concert in New York City. This eccentric tale provides a myriad of quirky experiences and characters that give way to a comical, but fateful memoir of this unique woman. Meryl Streep gives a strong performance, but ultimately the surrounding cast and writing leaves the story without much heart. Florence Foster Jenkins has so much potential for captivating the audience, but fails to fully encapsulate this uncommonly charming tale. Marguerite is filmed in a different time and place to the original story. The direction and writing of Xavier Giannoli (Superstar) take the essence of Florence’s story and places it in 1920’s France. 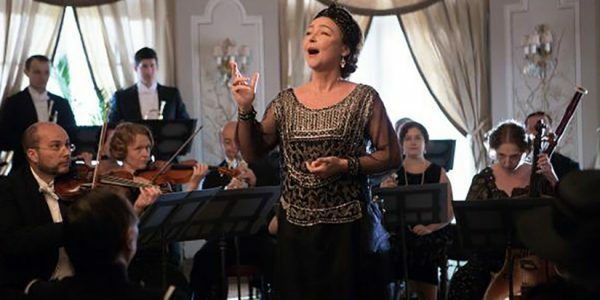 Catherine Frot (Haute Cuisine) beautifully encapsulates the role of the heiress and shows the actual motivation for her pursuit of music, which was to regain the love of her husband, Georges Dumount (André Marcon). In the tradition of European cinema, Giannoli magnifies the tragic side of the heiress' life by taking a darker path with the script but provides a richer ensemble of supporting characters and storyline. His direction manages to take an exceptionally sad story and makes it into something irresistible. Gianolli's writing should be celebrated for delivering a colourful cast of characters that provide the conniving community that surrounds the dream world of Marguerite. Yet, it is the captivating performance of Catherine Frot that becomes the differentiating factor between these films. She shows the disastrous side of the music fan world without losing her primary motivation of winning back her husband’s heart. Marguerite is a darker rendition of Jenkins' story, but the combination of superb writing and acting make this version more appealing. In this era, It is hard to imagine that anyone could out perform Meryl Streep, but Catherine Frot shows that it can be done. Primarily because she was given a better script and direction from Xavier Giannoli. Both films will entertain and Marguerite may be difficult to find, but for the adventurous cinema goer, it will be worth trying to find this wonderful film.